BRIDGETOWN, Barbados – The West Indies Retired Players Foundation was recently launched with the commitment to providing opportunities for former players to be involved in development programmes and assisting with welfare where applicable for former players who represented the Caribbean team at the international level. The Foundation was the brainchild of West Indies cricket Board (WICB) President Whycliffe 'Dave' Cameron and was jointly formed by the WICB and the West Indies Players Association (WIPA). The Foundation though, will operate as an autonomous body. The committee members are Brian George (Chairman), Dr Nigel Camacho, Nixon McLean, Wavell Hinds, Delano Franklyn, and Janice Allen (Secretary to the Foundation). Part of the programme of the West Indies Retired Players Foundation is to provide better health care and living conditions for past players. The intention is also to facilitate mentorship for young, aspiring players as well as appearance in the Caribbean, among the Diaspora in the United States and in the wider global cricket community. The gala event was also used to celebrate the illustrious career of Sir Garfield Sobers – the greatest allrounder of all-time. 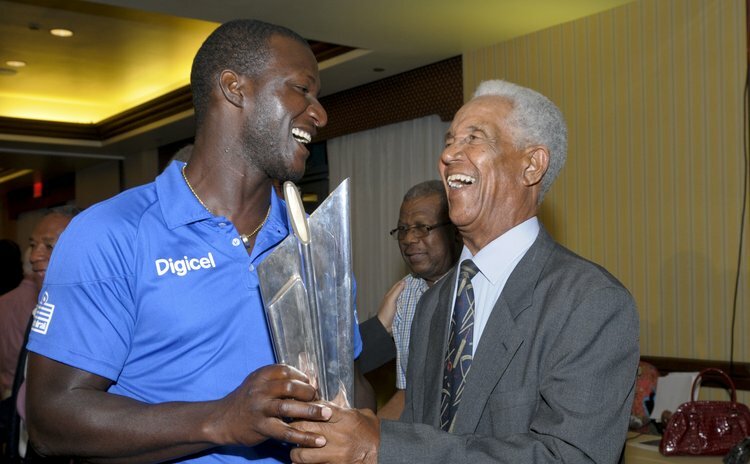 The 77-year-old made his Test debut 60 years ago against England at Sabina Park, Jamaica. Also in attendance were several other West Indian greats including Sir Vivian Richards, Sir Richard Richardson, Seymour Nurse, Charlie Griffith, Joel Garner and Jeff Dujon. West Indies cricket joined the ranks of international team back in 1928 – when the first Test match was played – and since then 297 cricketers have played Tests; 167 caps in One-day Internationals and 61 caps in Twenty20 Internationals.